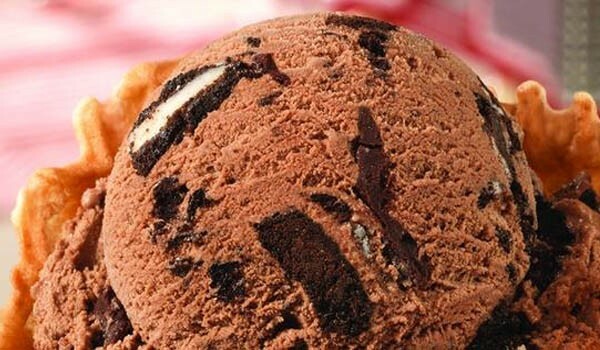 Baskin-Robbins ice cream shop is continuing their 70th anniversary promotion of putting their ice cream on sale on the 31st of each month. 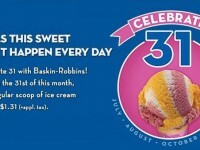 Today is August 31, and therefore at participating locations, you can get a single scoop of ice cream for just $1.31. 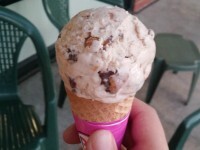 You can order in either a cup or a cone. 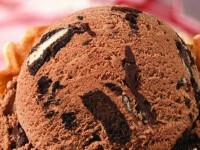 Try a new seasonal flavor, or do what I do, and go for something tried and true, like a peanut butter cup or Oreo.